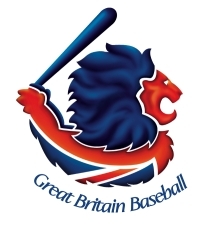 Great Britain’s Senior Baseball Team will jog out onto the diamond in Utrecht, Netherlands on the evening of Friday 7 September to begin an exciting month of tournament play. Tonight’s game against France (first pitch at 18.30 U.K. time) is Team GB’s opener at the 2012 European Baseball Championships. The twelve teams involved in the tournament have been split into two groups of six. Great Britain and France are joined in Group B by the Czech Republic, Germany, Belgium and the Netherlands. The teams will all play each other once in a round-robin event over the next five days. The top three teams in the group will progress on to the latter stages of the event, culminating in the Final on Sunday 16 September. Team GB’s Euro adventure has a slightly different feel about it this time around as it is not their only focus. Sam Dempster’s men will move on from the Euros to compete in their World Baseball Classic qualifier in Regensburg, Germany, later in the month (the min-tournament begins on 20 September). As in football, the Euros historically have been the second most prestigious international event for European teams, just behind the World Cup. The emergence of MLB’s World Baseball Classic in 2006 as the premier international tournament effectively moved the two more-established events down one slot in the pecking order. The WBC has been expanded for the 2013 event, the third time of it being staged, affording Great Britain its first opportunity to try to qualify for the main event next year. Team GB has never won the European Championships and would dearly love to do so, but if the team and us fans had the choice right now of winning the Euros or qualifying for the main World Baseball Classic event in 2013 I’m sure most, if not all, would favour the latter. Of course, no team can hope to choose which event they want to win. Achieving either major goal will be a real challenge due to the fierce level of competition the team will face. The WBC roster will be quite significantly different, and in theory significantly stronger, than the smaller Euro roster and should have a better chance of success, particularly in the shorter format that comes with the WBC qualifier. That doesn’t mean the Euros will simply be a warm-up for the main event though. There is much to play for even alongside the tournament title itself. A solid performance will put Team GB back into the top Pool A of European teams (meaning we would not have to go through a qualifier to get to the next European Championships, as we had to do this time around) and finishing in the top four would book a place at the next World Cup. More than anything, beyond qualification for other events and potential medals and trophies, there is the simple pride of wearing the GB jersey and cap and representing everyone involved in baseball in the U.K. Baseball and softball were not part of the Olympics – and there’s no need to go back over that depressing tale one more time here – but the team can still be part of a glorious sporting summer for the nation. I’ve no doubt that Sam Dempster and his team will do us proud in the Euros and, once completed, we can then look forward to the WBC qualifier with even more excitement. Further details about Team GB’s September events can be found on the BBF website. Full details about the European Baseball Championship can be found on the CEB website. I thought I read that the World Baseball Cup was being completely replaced going forward by the World Baseball Classic. Is that not the case?